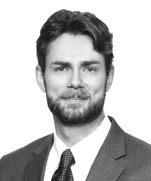 Daniel Morris is a member of Dentons’ International Dispute Resolution and International Trade practices. His litigation practice is grounded in his experience in business disputes in state and federal court, and emphasizes advising international clients on how best to protect their interests in cross-border disputes. He also handles cross-border enforcement of arbitration awards and court judgments. His trade practice includes advising on customs and tariff matters, as well as resolving adverse administrative rulings. Successfully rebuffed attempt to compel arbitration of disputes beyond the scope of arbitration clause, then successfully defeated attempts to stay proceedings pending appeal and to delay discovery. Secured key testimony in Germany from former executives of German defendant via the Hague Convention on the Taking of Evidence Abroad. Part of the team that beat back the domestic industry’s effort in the US International Trade Commission to impose $4 billion of antidumping and countervailing duties on Canadian aircraft. 100- to 150-Seat Large Civil Aircraft from Canada, Inv. Nos. 701-TA-578, 731-TA-1368 (Final) USITC Pub. 4759. Represented the Fiscal Agency and Financial Advisory Authority for the Commonwealth of Puerto Rico on restructuring and litigation matters prior to Commencement of Title III and VI proceedings under PROMESA. Secured a remand from the US Court of International Trade to the U.S. Department of Commerce, leading to the agency’s complete reversal of its earlier unfavorable AD/CVD scope determination. Ethan Allen Operations, Inc. v. United States, 121 F. Supp. 3d 1342 (CIT 2015). Detroit Bankruptcy: Lead litigation associate representing the Official Committee of Retirees in the largest municipal bankruptcy in American history. Appellate litigation: Argued before the US Circuit Courts of Appeals for the Seventh Circuit and Federal Circuit, as well as the DC Court of Appeals. Pre-litigation counseling: Evaluated the litigation and arbitral alternatives available and the relative merits of alternatives given the circumstances of client disputes. Pre-contract counseling: Assisted in drafting effective dispute resolution, choice of law, and choice of forum language. Lead counsel, secured temporary restraining order and immediate displacement of self-dealing members from management of limited liability company. Briefed arguments leading to the decertification of a class brought on novel theory of statewide trespass. Appellate courts later affirmed the decertification win on appeal. Successfully moved to compel arbitration. Rigsby v. XL Health Corp., 2011 WL 2563179 (W.D. Mo. June 28, 2011). During law school, Daniel and his teammate argued and won the final round of the Robert G. Foulston and George Siefkin Moot Court Championship before a panel of judges that included John Roberts, Chief Justice of the United States.